On the following 2-3 releases we will iterate through some important steps and we’ll be changing the OAuth 2.0 authorization flow. Carefully read the following details and recommendations to avoid future functionality issues. Please note that these changes will not affect the tracking functionality of the plugin. If you don’t follow the steps bellow, you’ll be probably experiencing reporting issues, meaning that the plugin will not be able to retrieve and display reports inside your WordPress install (frontend reports, backend reports, dashboard reports, and widgets). To keep GADWP’s API Project credentials confidential, a part of the authorization flow will be handled by a dedicated Endpoint (the GADWP Endpoint). The endpoint is designed to generate access tokens which will be later used by the plugin to request reports from Google Analytics API. With the exception of the authorization flow, all requests will be made, as usual, from your server to Google Analytics API without involving a third-party endpoint or service. If you are using your own API Project, the plugin won’t make requests to GADWP Endpoint at all. In this case you’ll be using your own client secret which will be stored in your database. 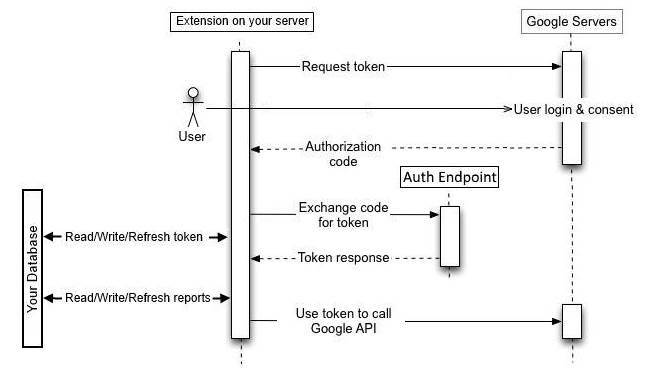 When using your own API Project, all authorization requests will be made directly to Google Endpoints and APIs. From the very begging, even when releasing major versions, we’ve tried to maintain full backwards compatibility. making the upgrade process hassle-free. Driven by the same principle, we’ve decided to make a graduate switch to the new authentication system. Basically, all new installs will use the new authorization flow, while the old plugin installs will be using the old authorization flow. During this phase we will be releasing Google Analytics Dashboard for WP v5.2. The upgrade to this version is highly recommended. after updating, an already authorized plugin will continue to use the old authorization flow. During this phase we will be releasing Google Analytics Dashboard for WP v6.0. During this phase we will disable the old API Project credentials. If you’re experiencing connection issues or SSL errors, while authorizing, please contact your hosting provider and ask them to check the PHP cURL SSL connection to https://gadwp.deconf.com. Common client errors are generated by outdated CA certificates bundles or broken PHP cURL setups. Upgrade to GADWP 5.2.1, it should have been fix. 5.2.2 shows info on WordPress dashboard okay, but it gives me “Sorry, you are not allowed to access this page.” . on the various admin options Have reverted to 5.1.2.5 version for now. You need to simply force a refresh or clear the browser cache. There were some changes on settings page URLs structure. Refreshing the dashboard with CTRL+F5 (Google Chrome) it’s enough. For support questions use https://wordpress.org/support/plugin/google-analytics-dashboard-for-wp.